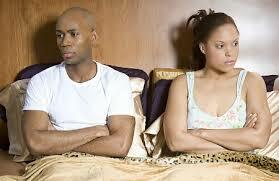 There are many causes for separation and dissolution of marriages. Some reasons are more common than others. In fact, the arguments I site below are also applicable to intimate relationships in general, married or not. Now I do not claim to be an expert, so the causes can be ordered differently. Some points can be combined as certain reasons are triggers to other missteps. Below are my top ten reasons. Finances- Frustration occurs when you can’t attain or support your desired lifestyle on your own. Now add that your mate is not being as helpful as you had hoped. Maybe your significant other is a spender as oppose to a saver. Maybe career goals were diverted or big-ticket emergencies caused delays in reaching your financial goals. 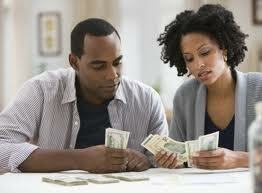 Money troubles in general can strain your relationship. Arguments arise over money, hurtful responses are thrown at each other and egos become damaged. Mismanagement of finances or not in sync with each other’s budget priorities is a cause of discontent with each other. Money woes can significantly deteriorate happiness in a marriage union. Husband and wife have to be on board in building that empire together and include each other’s personal financial gains in that big picture. While some financial woes become unexpectedly, planning for a rainy day and managing selfish indulges will aid in achieving certain financial milestones. Feeling Constrained- Your marital bond is holding you back from achieving personal goals and desires. Your spouse and the responsibilities of your marriage are not allowing you to take pursuit of your personal endeavors. When your inner happiness is compromised and not supported by your spouse, there is a void that needs to be fulfilled. Sometimes leaving an incompatible marriage is the only way to attain your comfort and peace and alleviate any perceived constriction. Expectations Not Met from Each Other– The wife and husband have certain expectations and ideals of each other prior to marriage. Maybe you thought your husband would be a more active father than just a provider, or the wife would be more of a caretaker than a social lite. Maybe family planning expectations that you had before marriage deviate from your partner’s wants. A strain is placed on the relationship when sacrifices or compromises to support the other spouse’s desires are not met. Communication of each other expectations should be clear prior to marriage and any modifications subsequent to vows shared should also be communicated promptly. We all have our ideals of what qualities we would like from a husband and wife. Once married there is often disappointment when our expectations are not met, those qualities we thought were in our spouse are diverted post-marriage. Spouse does not understand/ fulfill your needs or desires– When your spouse does not support or attempt to understand your needs or desires, there becomes a disconnect. He or she is not supportive of what makes you feel bliss. Not making an effort is a major blunder in my opinion. If your spouse is not attempting to understand and not fulfilling your carnal needs, the marriage will not last or if it does, the two partners will be miserable. There are too many individuals out there willing to do the research in understanding what makes you smile and say “Ahhh”. Abrupt Changes in Lifestyle– Changes in life are inevitable. But sometimes, there is a major hiccup in you and your spouse’s life which diverts away from the original life you both became accustomed with. Moving to a new city, recent family addition, family loss, demanding career, lost of income are all changes. While many are common, not everyone adjusts to change with ease. Of course, lack of communication and understanding between others could make the situation more frustrating. If the person who is fixed in their routine cannot adapt to new beginnings, transitions or endings, problems arise. If possible the more fluid spouse should acknowledge the difficulties faced by the other in their transition and reasonably accommodate and understand their fears and apprehensions. Compromise is key to any successful relationship. However, not guaranteed and maybe moving from rural Alabama where one is close to family to a major metropolis hub without a single friend is too much for one person to handle. Decisions on whether that move is really necessary to sacrifice your marriage will be necessary. Religious and Cultural Differences– If the other spouse is not on-board in accepting and embracing these differences, there can be strife in the relationship. Compromise and agreement of what customs and religious practices will and will not be performed in the household is imperative before walking down the aisle. At times the cultural differences become more than the other spouse bargain for when committing to marriage. Abuse– Of course this is unacceptable. Any form of abuse should not be tolerated. Get out of that situation now! Previous PostNew Thanksgiving Traditions…Gobble! Gobble!Next PostAM Clarity: No New Friends?